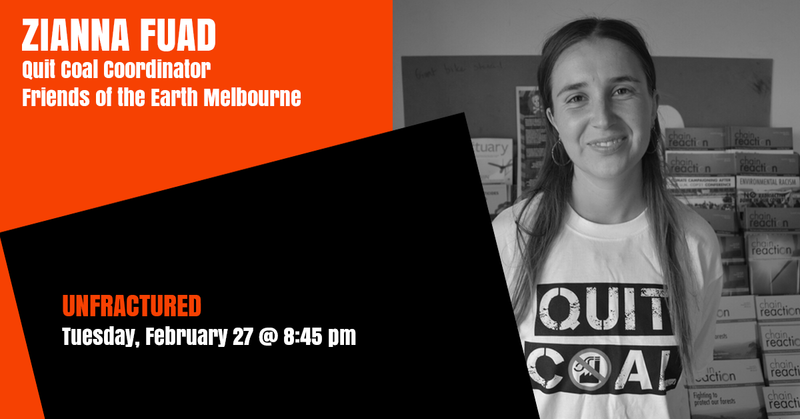 Zianna Fuad was part of Quit Coal throughout the five year Coal and Gas Free Community campaign that worked with rural communities to permanently ban Unconventional Gas/Fracking in Victoria. Now, Zianna is working with the Quit Coal collective to support and stand in solidarity with other states threatened by the fracking industry. Within Victoria, the group is working with community groups to fight against other new and existing fossil fuel projects to ensure Victorians have access to clean, fair & affordable energy.